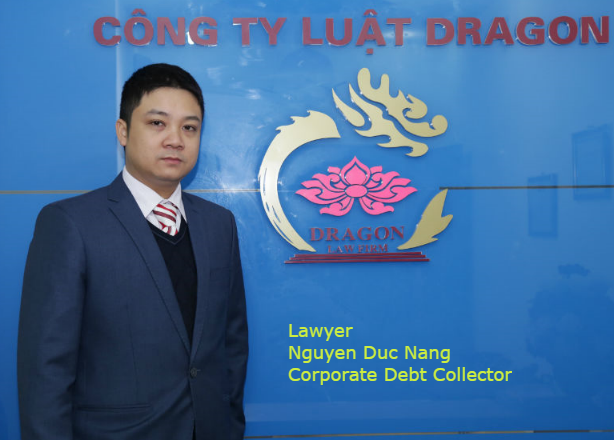 Having extensive experiences in civil, criminal case, debt collection, investment, labor disputes … best law firm in Hanoi, Dragon Law Firm is willing to support at legal advice hotline 1900.599.979. 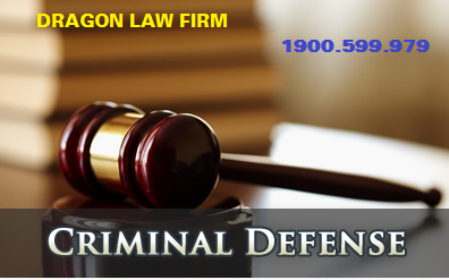 Dragon Law Firm would like to send you basic contents in preparing the Attorney’s Defense Legal Argument in the trial. The judicial titles have a distinctive text, Judges with judgments, Procurators with indictments, Investigators with investigation conclusions, and one of the important documents of the Lawyer when participating in the procedures is the legal argument statement for the Defendant and the persons with related rights and obligations or the litigants in the hearing, Appellate Court of criminal cases. At the appeal hearing the defense or protective legal argument is a document expressing the Attorney's position in defending or protecting justice, protecting the legitimate rights and interests of his Client. These are the most important documents of Lawyers involved in protecting the legitimate rights and interests of Clients at Courts, which are the products of the process of studying dossiers, participating in legal proceedings, studying legal documents, gathering and seeking evidence to prove the best protection for the legitimate rights and interests of Clients. For Lawyers, the plea for defense or defense argument is the official voice of the Lawyer at the Trial, demonstrating the Lawyer's ability to fight and the Lawyer’ behavior as well as demonstrating legal knowledge, social knowledge for Lawyers to show their arguments at the Trial. 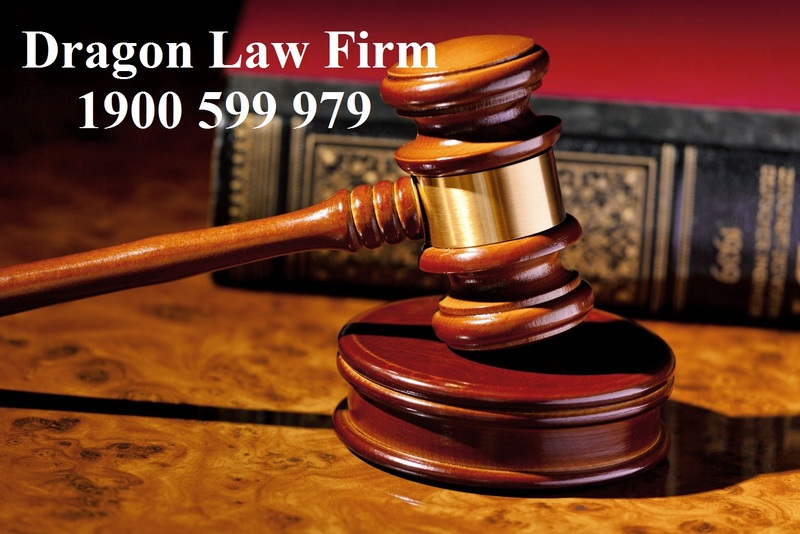 This is also a solid psychological support for the Client, helps Clients believe in the fairness of law, and also demonstrates the quality and ability of Lawyers to participate in defending, protecting the Client through the legal argument statement which is full of concise, condensed, closely and convinces the listener. During the Appellate Trial, attention should be paid to the appeals of the Defendant, the parties to whom the Lawyer is responsible for the defense or protest of the Procuracy. The research should outline the key issues of the case such as crime, collection and evaluation of evidence, grounds for application of law and punishment ... but still have to stick to the above appeal request. The scope of the specific case study includes: (1) appeal request, protest; (2) legality of first instance verdict (review of content and proceedings); (3) the documents and evidence for the appeal. Due to the nature of the Appellate Trial, the Lawyer should concentrate on studying the basic to prove the innocence of the Defendant or the extenuating circumstances of the criminal liability. In the course of studying the Lawyer's dossier, it is necessary to detect shortcomings in the evaluation of procedural breach evidence. The Lawyers need to find out additional details of which they have not been considered in the first instance verdict yet, either themselves or their families to provide new documents for consideration at the Appellate Trial. The collection and submission of new additional evidence, objects and documents should ensure the legality of the formality and substantive relevance in terms of content in ways and measures that the law is not banned. The above documents should be copied legally with the original and must be submitted before the Appellate Trial is opened. During meetings and exchanges with the Defendant in the detention center, the Lawyer should discuss the consequences arising from the Appellate Trial, when the verdict takes legal effect so that the Defendant determines good thoughts, preparation for a complaint under the Cassation order or the execution of a judgment. It can be said that meeting and discussing with the Defendant before the Trial is a series of actions requiring Lawyers to feel thorough knowledge of the case so that Lawyers can write good legal arguments to defend the Client at the Appeal Trial in the best way. Attorneys may contact or recommend in writing to the Prosecutor, the Judges presiding the trial or their leaders to present issues relating to new facts of the incident, or to submit additional documentation. Meetings with the Procuracy and the Court help the Lawyer have more new evidence, know the views of the Procuracy and the Court to be able to write the defense argument statement for the appeal session in a better way. This section introduces the Lawyer’s status, the Attorney's office that Lawyer is attending, the reasons for defense. It is important to note the difference of the arguments at the Appellate Trial against the First Instance. The preamble to the verdict at the Appellate Tribunal should provide a general assessment of the first instance judgment of the guilty and the penalty for the Defendant, the applicable law and the proceedings, the determination of the verdict of the First Instance to the Defendant's legal fate. It is necessary to make an overall assessment of the key issues influencing the review and assessment of the nature of the case at the Appellate Trial. The main contents of the Defendant's appeal, or protest of the Procuracy. 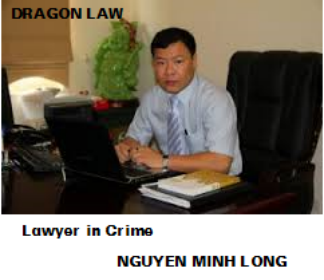 Lawyers need to analyze the signs constituting the crimes for the defense of the Defendants that they are not enough elements constituting crimes, lacking legal grounds … through evidence or result of verification. Defending a Client in the direction of not guilty is usually in the direction of proving that his Client has not reached a significant level of danger to society, just administrative punishment, or proving his Client has not come of age responsible for the criminal liability or proving that the Client has committed an act that is harmful to the society in the event of the exclusion of the offending nature such as: urgent situation, righteous defense, obeying the instructions, decisions or orders. These are circumstances without criminal liability, which is the case for acts of criminal objective damage but is not considered crime due to failure to meet the error factor and is regulated in the Penal Code for crimes with material objective constitution which requires the determination of the consequences, the Lawyer needs to prove that the Defendant has not caused the consequences of the criminal liability. In this case the Lawyer needs to prove in his legal argument statement that the stolen property of the Defendant is not worth up to 2 million dong through the fact that the defense Lawyer proves that the result of verification is inconsistent with the real value of the property. It must also prove that the Client has not been fined or has not been convicted of property misappropriation. If the Victim does not ask for prosecution or has withdrawn the request for prosecution before the opening of the First Instance Hearing, the Court still considers the Appellate Trial and pronounces the Defendant with guilty, the Lawyer should ask the Jury Panel at the Appellate Court to cancel the first instance verdict and suspend the case under Article 251 of the Civil Procedure Code 2003. In this case, it should be pointed out that the body of proceedings have seriously violated the procedural process during the investigation, prosecution and trial of the Defendant. Attorneys need to adhere to the grounds in the verdict of the Court of First Instance and in the conclusion of the Procuracy to analyze inconsistencies, point out the lack of evidence in verification, the violation of proceedings when evidence collected to serve as a basis for accusing the Defendant, thereby proposing a solution to the case in the direction of accepting the appeal of the Defendant, declaring the Defendant not guilty and stop the case under the Article 251 of the Civil Procedure Code 2003. Attorneys also need to resort to the principle of innocent presumption when stating to the pronounced first instance verdict based on a one-way judgment of inference from the bodies conducting the proceedings. In one case, the Defendant did not commit a crime as declared by a first instance jury, but there were signs of another crimes, such as Mr. A's conviction of a murder charge under Article 93.1 of the Penal Code 1999 but study of records showing that Mr. A committed murder crime in a highly agitated state under the Article 95.1. So the problem here is that in the defense plea of the Defendant at the Appellate Trial should recommend moving to a lower crime or just asking the Appellate Court to declare the Defendant not guilty which the First Instance Court pronounced? This is an aspect of the skill and sensitivity of the Lawyer, so there needs to be consensus with the Defendant before to choose the best option. However, in principle, when presenting in a not-guilty verdict, it is necessary to maintain that point of view, without the need to present a less serious crime if it is perceived as appealing, the Defendant has not been unified and discussed thoroughly about this case. The Lawyer must have the skill and knowledge of the law in order to be able to write an defense plea in the direction of the Defendant's not-guilty. Attorneys should focus on clarifying in the appeal request the new points which not mentioned in the First Instance. 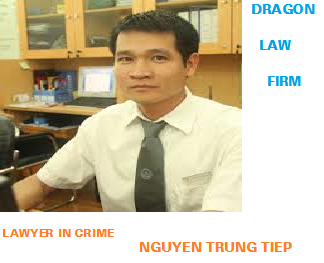 The Lawyer should provide evidence that the Defendant does not commit any crime under the first instance verdict. For example, evidence that the Defendant did not intentionally injure the injured person as stipulated in Clause 2 of Article 104 of the Penal Code, such as a first instance verdict, but only intentionally inflicts injury according to Clause 1, Article 104 of the Penal Code. For framing circumstance that the application or non-application depends more on the subjective judgment of the First Instance Court, for example, "use cunning tricks," "rough nature","in despicable motives" … then in the defense plea for the Appellate Court, Lawyer must also be self-assessing to determine the invocation and evaluation of the Trial Panel of First Instance whether hard, imposed or not, from which to make arguments to refute. The showing legal arguments must be relevant, consistent with the scientific theory of criminal law and the practical application. In addition to preparing a defense legal argument for the Defendant at the Appellate Hearing in the direction of the request for a lighter penalty, the Lawyer must also clarify the legal grounds for the application of extenuating circumstances in accordance with the law which the Court of First Instance did not mention. These are the extenuating circumstances under Clause 1, Article 46 of the Penal Code 1999. There is a case of appeal, but before the Appellate Trial, the Defendant is aware of his or her misconduct, agreeing with the Attorney to change the appeal request. This can be seen as a cognitive transformation, a new acts that has a big impact on the hearing. A Lawyer needs analysis of the root causes of cognitive development from the appeal to plead guilty, apply other extenuating circumstances to propose amendment of the first-instance judgment (Article 249, Criminal Procedure Code 2003) in the direction of significantly reducing the penalty for Defendant according to the principles prescribed in Clause 2, Article 46; Article 47 of the Penal Code 1999. The request for reduction of penalty for the Defendant at the Appellate Court session may be proposed in the direction of reducing the imprisonment term of imprisonment, transferring to non-retrenchment, transferring to the application of probation, criminal responsibility or penalty for the Defendant. However, the Lawyer should note that it is only advisable to focus on the facts that underlie the request of the Court of Appeal for the Defendant when the first instance judgment has not been mentioned yet or mentioned in the first instance judgment which is not satisfactory with the Defendant. In a first instance judgment that is appealed or protested, the Lawyer discovers that there has been a serious breach of the proceedings or wrong application of the law, no full judgment of the evidence or a Lawyer who collects some new evidences which needs to be assessed the nature of the case, the Lawyer can propose to cancel the judgment of the first instance for re-investigation or re-examination. Pursuant to Article 250 of the Criminal Procedure Code 2003, the above-mentioned cancel of the first-instance stems from inadequate first-instance investigation but cannot be supplemented by the Appellate Court. The specific circumstances leading to the cancellation of the first instance judgment are Trial Panel’s illegal members or serious violations in proceedings; a person who has been convicted by the Court of First Instance is not guilty but has grounds to believe that he or she has committed a crime. The Lawyer should note that if the case is proposed for re-investigation or re-examination, it may be proposed to consider the status and the detention time of the Defendant for the Appellate to consider. Lawyers should note that when presenting the legal point of view in one of the above three directions, the Lawyer should clearly state the legal basis, cite the legal provisions. The proposal, the main conclusions, make specific recommendations of Lawyers. For example, if the proposal is not guilty, it should be proposed to release the Defendant at the trial. If requesting for lighter application of penalty or application of suspending sentence, it is recommended to apply the provisions of Articles 46, 47 and 60 under the Penal Code 1999. If proposing to cancel the first-instance judgment, the Lawyer should clearly state the unclear points in regard to the criminal liability of the Defendant, suggesting specific points related to the collection of dossiers, documents and inspection result and correction of serious breaches of proceedings. The Attorney should not forget to appreciate the Trial Panel's and the Procurator's attentiveness in listening to the defense legal arguments as well as their goodwill to respond in the hearing. Before preparing to write a plea of defense for Victim, the Lawyer has gathered evidence, met the Victim to talk about issues related to the contents of the case. The Victim’s request gives a check of the suitability and contradiction between the evidence contained in the documents of case; among objects, related documents that the Lawyer has collected with evidence in the case. The Lawyer research the content and scope of the Victim’s appeal, examines the evidence in the file of case to prove his Client's appeal request; checks the suitability, evidence in the records. The study of evidence should be linked to the Client's appeal request, which the defense attorney protects, analyzes the legality of the first instance verdict regarding the content of the Client's appeal. - Legal documents: the Penal Code; Criminal Procedure Code; relevant legal documents, especially documents such as Resolutions of the Council of Judges or guiding documents related to the protection of Victims at the Court. - Other documents: records relating to the identity of the Defendant, the Victim and other documents relating to the circumstances of the case or to serve the preparation of the defense. Research the content scope of appeal. Study the documents and evidence contained in the records of case to prove the request for appeal. Check the compatibility of the evidence in the file. The study of evidence should be linked to the request for appeal. Studying the legality of the first instance verdict (reviewing the content and the proceedings). In order to build the Defendant's protection during the Appellate Trial, the Lawyer must determine the scope of the Defendant's appeal in order to build the protection direction for the Victim. This protection must be within the scope of the appeal. In cases where the legitimate rights and interests of the Victims are protected against the claim for damage, the Lawyers may orientate to determine the criminal acts and civil liability of the Defendant. After the discussion of the plea of defense, the Lawyer needs to talk again about the Client's requirements and the unified exchange reflects the true nature of the rights and interests of the Client. Dear Representative of the Procuracy! At the beginning of the protection statement, the Lawyer must express his or her self-declaration and affirm his or her participation in the proceedings at the Court. Depending on the context of each trial, the Lawyer may offer different introductory words, creating an impression, different approach to the problem. It is completely unrelated to immutability, stereotyping. It demonstrates the suitability and flexibility of Lawyers for different cases. 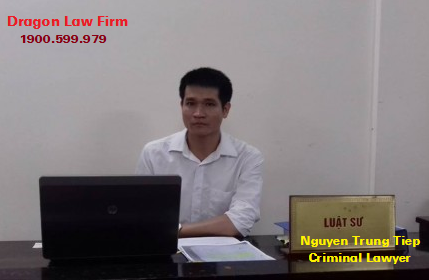 The Defendant's accusation that the Defendant's protection legal arguments must point to aggravating circumstances of criminal liability as provided in Clause 1, Article 48 of the Penal Code 1999; framing circumstances with more severe than the liability frame prosecuted by the Procuracy. In the guard position, protection skills must be exercised in the opposite direction to the position of the defense Attorney in the direction of mitigation. Where the Defendants and their families have been accused and at that time, they have properly considered and supported the Victims' families, found all measures to overcome the consequences of the cases, compensated all or part of the damage and other damages caused by the Defendant, self-aware of crime and repentance … which may propose partial mitigation of the Defendant, reduce the remaining compensation amount, back up the payment schedule and make compensation in accordance with the economic situation and the life of the Defendant. However, in the process of expressing views when protecting the legitimate rights and interests of the Victims, the Lawyer needs to understand, although the aggravating and mitigating requirements for criminal liability and compensation for damages are the same ideas or even agreeing with the prosecutor's point of view, but in terms of the nature of the occupation, there are certain differences between Prosecutors and Lawyers. Therefore, language, style should be moderate, attention to the fate of the Victim should not use strong, critical words, offend the honor of the Defendant's dignity. It is essential to analyze and evaluate evidence that determines the offense and relates to the Defendant's civil liability as well as accuse the Defendant but avoid the same role with Procurator because the right to decide offenses and penalties depends on the Trial Panel. 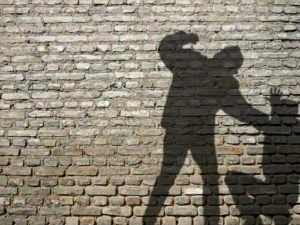 When preparing the case for the protection of the Victim in the direction of the protest to Appellate Court for a first instance verdict to transfer the stronger crime, the Lawyer should base himself on the distinctive signs of the two crimes, which is lighter or stronger to distinguish. For example, according to the records of case, it is shown Mr. Q committed murder under Clause 1, Article 93 of the Penal Code 1999, but the first-instance verdict reiterates that Mr. Q is unintentionally causing death in accordance with Article 98 of the Penal Code 1999. In principle of compensation, Lawyer must determine: occurring damages (physical damage and mental damage); illegal acts; damage caused by unlawful acts; the person causing the damage must be guilty (intentionally and unintentionally). The Lawyer must consider the Defendant's capacity to pay damages; calculate the reasonable cost including the actual costs in accordance with the nature and extent of damage, the average market price in each locality at the time of cost. Attorneys when participating in the protection of damage compensation should request the Victim to prove that the Victim must clearly state the actual damage that has occurred, the claim level and a valid document or receipt of the reasonable expenses and the income of the damaged person. Damage caused by infringed health shall be compensated as reasonable expenses for the treatment, rehabilitation, including: travel fees to take the damaged person to an ambulance at a medical facility; cost of medicine and medical equipment, cost of screening, x-ray, scan, ultrasound, test, surgery, blood transfusion, physiotherapy ... as instructed by the doctor; hospital bills; other practical and necessary expenses for the damaged person (if any) and expenses for fitting prosthetics, false eyes, buying wheelchairs, carts, crutches and cosmetic remedies ... Support or replace part of the lost or damaged body function of the damaged person (if any). After the treatment, the damaged persons lose their working capacities and need regular care persons (the Victims are unable to work due to spinal paralysis, blindness of the eyes, paralysis of the limbs, severe mental illness and other cases prescribed by competent State agencies which are permanently reduced 81% or more of their working capacity), they must be paid compensations for reasonable expenses for caring for the Victims or the cost of mental damage due to health is violated. Lawyers should pay attention to the reasonable expenses for the cure, care and of the Victims before death; the reasonable cost of burial includes: the purchase of coffins, the necessities for burial, scarves, incense, candles, flowers, rent hearse and other expenses for burial for the victim according to common practice. Does not accept claims for sacrifice, worship, food, grave construction, grave removal ... The alimony payments to persons whose Victims are obliged to support before death; compensation for mental damage caused by the Victim's life. Damage caused by infringement upon honor, dignity or reputation includes damage caused to the honor, dignity and prestige of the infringed individual, including reasonable expenses for restriction and remedy of damage; decreasing actual income; compensate mental damage due to damage to honor, dignity and prestige. The offender committed the crime to his Client but the Court declared the offender not guilty. In this case, when writing the protection plea report to the Client at the Appellate Trial, the Lawyer should base on the objective circumstances of the case, based on the Penal Code to analyze the factors which constitutes the crime that the Defendant has committed, emphasized the specific signs of the offense. If there is no ground to believe that the Defendant is guilty, the Lawyer must analyze to the Victim understand that the Defendant's behavior is not unlawful or illegal to take criminal responsibility. 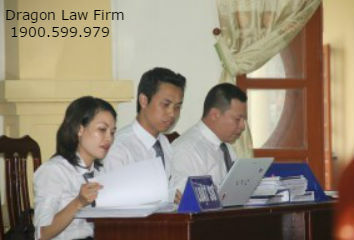 The Lawyer should summarize the key points presented, make proposals for the application of the law to solve the case in favor of the Client, summarize the proposal of the Defendant's criminal liability and responsibility, civil liability for which the Defendant must pay compensation for the damage. The conclusion is that the closed part of the protection legal argument, so the Lawyer must use words, expressions, at the right level to affect emotions, compassion, the sharing of the Trial Panel that the Victim suffered due to the legal violation of the Defendant. In general, when participating in the defense and protection of the legitimate rights and interests of the Defendant and the Victims during the Appellate Trial of criminal cases, Lawyers should concentrate on analyzing and emphasizing the contents which directly affect to the legal rights and obligations of the subjects involved in the proceedings, not to mention the widespread problems beyond the scope required by the procedural law. Justification statement for defense and protection during the Appellate Trial of a criminal cases are the documents for Lawyers to express their opinions when defending and protecting Clients in criminal cases at the Courts. Therefore, Lawyers must prepare themselves for the activities and skills necessary to best protect their Client’ legal rights and interests. 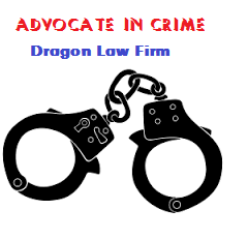 Dragon Law Firm, one of famous law firm in Vietnam in criminal litigation in Courts, would like to support all of Clients via criminal advice hotline 1900.599.979.